I would just like to say thank you for your assistance and give a little feedback regarding your product. 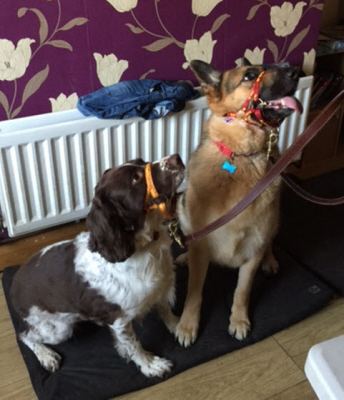 I have a very boisterous gsd and a lively springer spaniel who both compete to be in front of each other when on their leads. The dogmatic has significantly improved their behaviour on the lead. Although not quite perfect yet I am sure if I persevere with the praise and correction technique as per your leaflet then I am sure it won't be long. I am now finding the pleasure in walking my dogs rather than it being an unenjoyable chore.